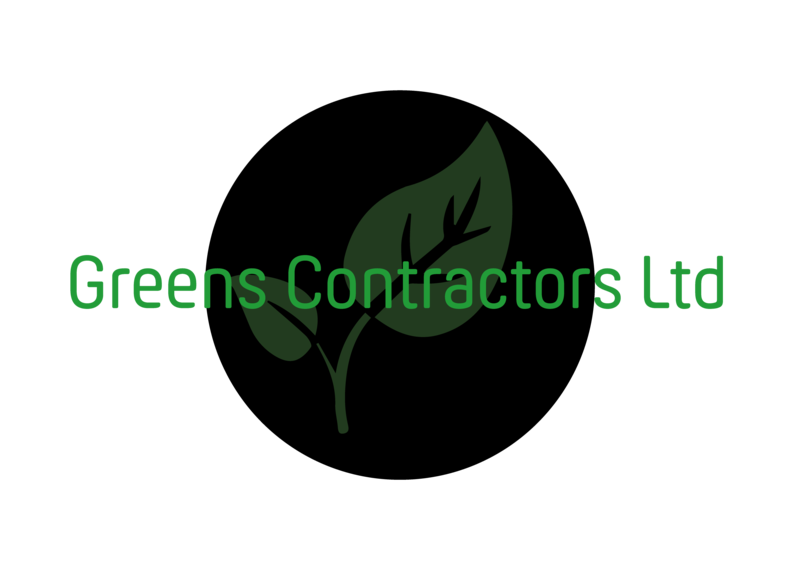 Rod, Contracts and Operations Manager for Greens Contractors Ltd, has over 20 year’s experience in operating excavators, dozers and Backhoe loaders in the construction, earth moving sector. His vast experience has given him plenty of scope for tackling various earth moving projects, Pond and lake construction, desilting road & track formation, Levelling stone to precise levels, landscaping, drainage, including field and civils, golf course construction, shed base excavation including, cut and fill and ground works for footings and services. We also take on small domestic garden landscaping jobs, using the appropriate sized excavator and can provide a range of earth moving machinery for any sized job. 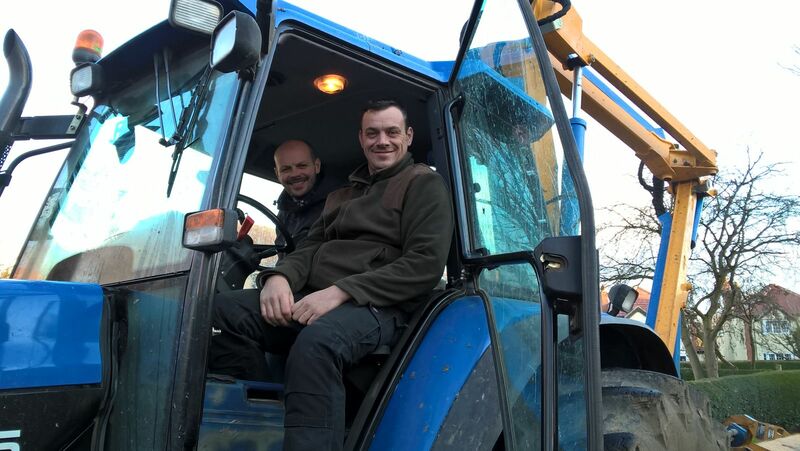 With Rods Vast Knowledge of earthmoving he can advise on any job. Rod has designed and built his own multi head grading beam for levelling stone for car parks, road formation etc., this attachment can be mounted on an excavator ranging from 8 ton -14 ton, this grading beam speeds the levelling process considerably and is more efficient compared to the more standard ditching bucket used for levelling. We cover an area within a 25-mile radius of Wetherby. Our hedge cutter is capable of covering large and small jobs, ranging from large estates to smaller equestrian paddocks and caravan parks and the odd large domestic garden, depending on access. 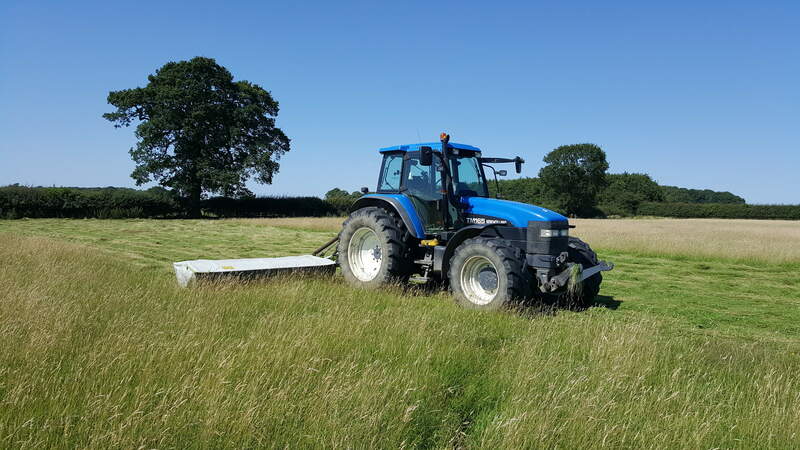 Agricultural Contracting is another service we offer, as well as Hedge cutting we can cover, pasture topping, Tractor and Operator Hire, Tractor and Dump Trailer hire, Hay making service including, mowing, turning and conventional Baling, Chain harrowing and reseeding. We can offer a full grass care service for Equestrian customers. We also offer a plant hire service in the local area.